Posts on China’s premier social network Weibo have suggested that some of the country’s largest bitcoin exchanges are manipulating trading volumes to gain more customers and rise through the ranks of the world’s most popular exchanges. The sentiments have been reflected overseas as well, on forums like Reddit, Bitcointalk.org and Twitter. 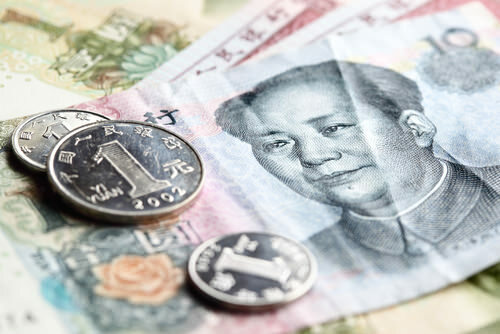 Chinese trading activity could be having an effect on the worldwide bitcoin price once again, with prices dropping from a high of $859 to a low of $810 in trading over the past weekend. Graphs and charts appear to back up the claims with some odd figures, with some showing bid prices for bitcoin actually higher than ask prices, or even dead level. The latter would be a coincidence on a genuine open market, the former almost impossible. Trades on China’s now-largest bitcoin exchange, Huobi, show prices with four decimal places, higher than the maximum offered to customers on the web interface. There are also several trades with exactly the same price. Shenanigans, right? But as a wise man once said: I’m sure you’ll find it’s more complicated than that. 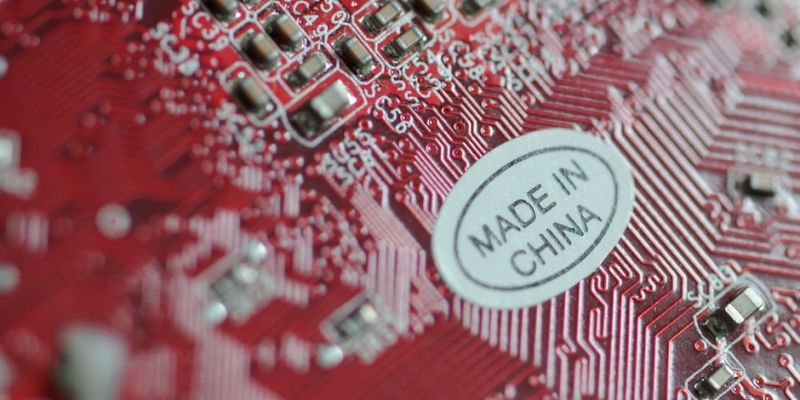 At least one trusted Chinese bitcoin trading source told CoinDesk the charts pointed to manipulation from within, the result of either in-house trading bots or software that mirrors or mimics trades on rival exchanges to project an appearance of high volume. Until the People’s Bank of China threw the local bitcoin business community into chaos in December last year with new regulations, it seemed pretty straightforward. 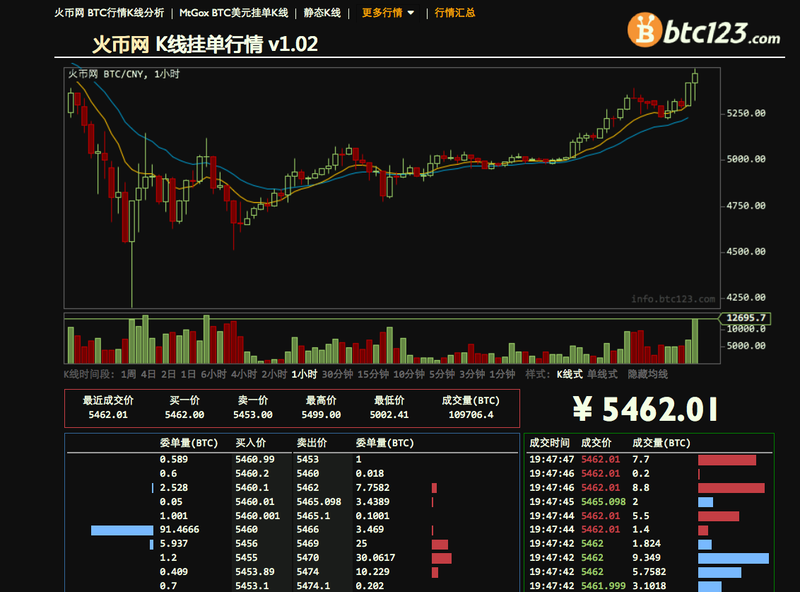 BTC China was number one, with trade volumes and price records beating even Mt. Gox for much of 2013. Things have changed since. Denied access to bank transfers and third-party payment processors, BTC China’s volumes dropped as all exchanges scrambled for ways to stay in business under the new scenario. Some continued to transfer money via corporate and personal accounts, and BTC China introduced a voucher system. OKCoin and BTC China reintroduced trading fees, which had been absent from most Chinese exchanges in 2013 and possibly created higher volatility worldwide. Fee-free Huobi rose to top position and BTC China fell to third, even fourth. Lee said OKCoin got caught “red handed” fabricating trades a few weeks ago and has since lost a lot of consumer faith and trust. He went on to say that Huobi has now been caught doing the same and the evidence has been posted on Weibo. China-based bitcoin exchanges have been accused by users of manipulating trading volumes before, with some claiming to shift over 30,000 BTC in December amidst bitcoin’s price plunge, and users claimed the actual number might be a tenth of that. Some have suggested the high volumes are due to high-frequency trading (HFT) bots, and one said the exchange is able to split large orders into small ones. Other commenters have expressed either surprise or criticism at the exchanges’ lack of transparency in general. Xu Mingxing, CEO of OKCoin, has publicly stated a dislike for HFT software and the effects it has on exchange volumes, despite apparently allowing large trades through OKCoin’s API. All kinds of exchanges can fake volumes merely to gain attention, in the hope traders will see them as the most popular platform and move their activities there. It’s not just a matter of misreporting the facts. Sometimes, ‘fake’ is also ‘real’. Companies can unleash bots on their own trading floors to profit through arbitrage, a move which appears to boost volumes, while making a profit for the company without paying any fees. Whether this constitutes fakery, or fraud, is a grey area as the trades are actually executed and ‘real’ traders may trade against them. This kind of activity, along with ‘mirroring’ (or simply copying) trades made on other exchanges with real trades of your own, may not technically be wrong but it remains risky to try. It’s difficult to tell for sure if exchange trading volumes are being manipulated. Chart and price anomalies are possibly a sign. 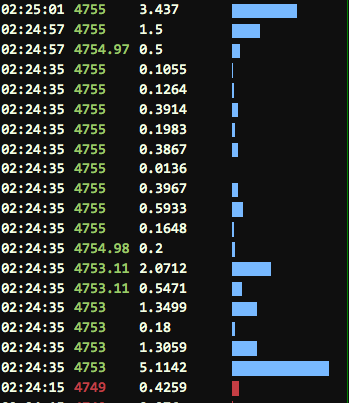 The primary way is to look at market depth charts, if such data is made public (and can itself be trusted). This is determined by monitoring the number and activity of traders who count as ‘market makers’ within the market, posting buy/sell orders at specific rates and thus setting the price. If trading activity is not genuine, market depth is shallow and such orders will not be fulfilled, even when actual prices venture into the territory of the offers.